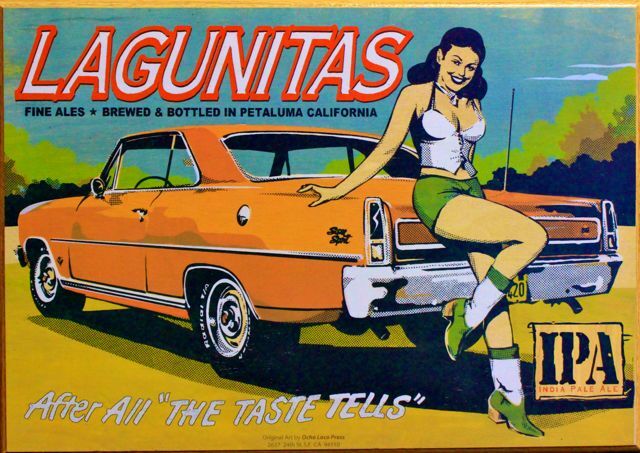 Heineken ‘buys’ Lagunitas – a great development for beer! Coming as a total shock, the news of Lagunitas Brewing Company and Heineken forming a joint venture sparked a lot of mixed emotions and heated debate. With Heineken effectively buying 50% of the Lagunitas Brewing Co. it made a lot of people wonder whether they should cheer or cry – James Watt of Brewdog for example tweeted that all Brewdog Bars will stop selling Lagunitas beer. My take on this is that it is a blessing for all of us. Many of the facts around this deal will only become known later, and most of the effects resulting from it may take years to settle. What surprises me most is the general short-sighted and emotional reactions by many in the beer world: the majority gives Lagunitas a lot of stick and continue to talk down Heineken as an inferior brewery, bound to destroy the jolly brewers and beers of Lagunitas. 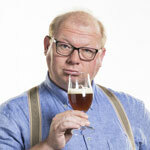 How stupid are these so-called beer aficionados? And how long will they confuse ‘small’ with ‘good’ and ‘big’ with ‘bad’? Why do immediately think this is a bad deal for beer drinkers across the globe? Which facts do we know? 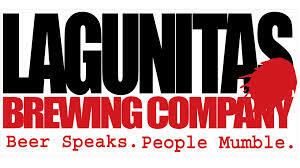 Heineken buys 50% of the shares of the Lagunitas Brewing Company. Tony, Ron and the rest of the current management team will continue to smoke a lot of pot and keep calling all the shots. Lagunitas Brewing Company will continue as a joint venture between themselves and Heineken with a seven-head board, four of them being from Lagunitas. 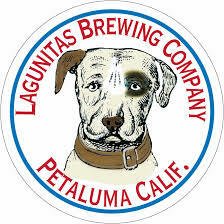 Heineken will continue to brew its own fabulous beers, and Lagunitas will do the same. Lagunitas will, gradually, get access to Heineken’s worldwide distribution network and thus become available to a much larger audience, and much faster, than they would to achieve on their own. Which facts do we choose not to know? This is of course speculation – but here’s where everybody seems to be getting so worked up about. Don’t expect A Little Sumpin’ Sumpin’ or Maximus Ale to be tasting any bit different tomorrow, or next year, than it does today. Don’t expect Heineken to taste any bit different, either. There’s obviously nothing to gain for Heineken in killing the goose with the golden eggs they’ve just partnered with. That’s why they won’t change their own beer either. 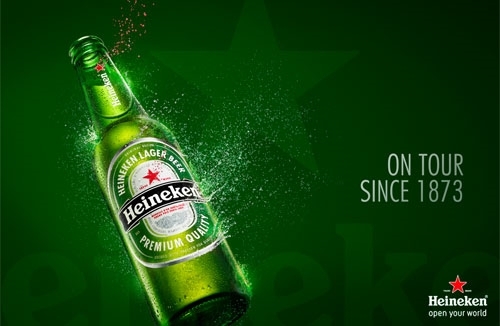 I suspect Heineken to fully realize it is not seen as a craft brewer, and it will therefor never be able to launch anything but a great pilsener using the Heineken name. They are passionate brewers though, make no mistake about it, and they are not blind to trends. If this is a better way to earn money, well, than would be stupid not to take the opportunity. Tony Magee, his co-founders and current team aren’t just in it for the fun either and despite their incredible growth over the past five years, see the environment change around them as well. They do not get to live forever like the rest of us. Prepping for the future is what we all should do – and they just did. If it means cashing in big time or not, we do not know yet. But would you blame them? Emotions. What we call ‘craft beer drinkers’ are just beer drinkers, but their taste buds just don’t like pilsener style beer. What we call ‘craft beer brewers’ are just breweries who brew very tasty beers, but no pilseners (perhaps because they can’t). What we call ‘yellow colored fizzy beverages’ are beverages made and sold by very large breweries in the United States of America – they bear no resemblance whatsoever to the lagers and pilseners brewed by European breweries, large or small – and still accounting for almost 9 out of every 10 beers consumed worldwide. What we cannot understand is that still every brew master is a brew master, and Lagunitas’s brew masters are as passionate and true craftsmen as Heineken’s brew masters. They just make different styles of beer, but all of them make beer. Stop making a difference that isn’t there: craft beer does not mean anything and does not exist. Beer exists. Stop believing that every big, multinational brewery is only in it for the money. They’re not all fundamentally Brazilian accountants. Stop believing that every small, local brewery is only in it for the fun. They need to feed their families too you know. Stop believing that small equals better quality, more passion and is morally superior to big – and stop believing big equals poor quality and less passion. By this I obviously mean: stop believing this is the general rule. There are plenty bad, passionless small breweries and there are plenty big breweries with maybe even more passion for the craft, and they generally have the highest quality standards. Start enjoying the fact that we will soon be able to drink the great beers of Lagunitas on much more occasions then we can today!